"You could only barely see [her] through a small hole in the open driver side door." It was a normal day for Virginia resident Eunika Brown — until she started to hear meows coming from her car. She had just driven about 45 miles and stopped the van to have lunch when she noticed the tiny cries. 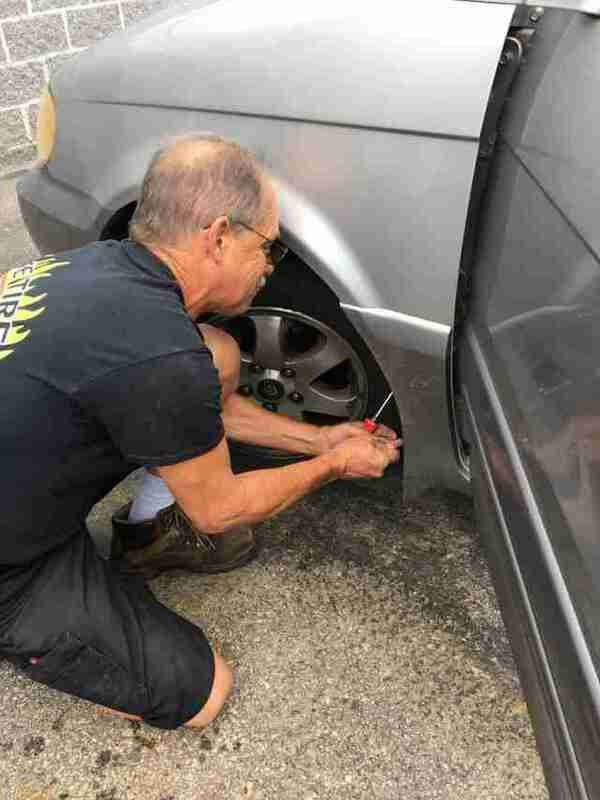 Brown opened the driver’s side door, and through a crack near the fender, she spotted her. 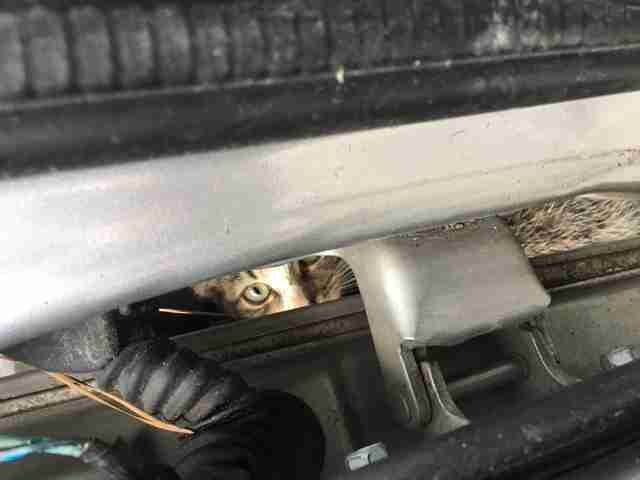 A small kitten had climbed into the fender well of the car, and was completely stuck. 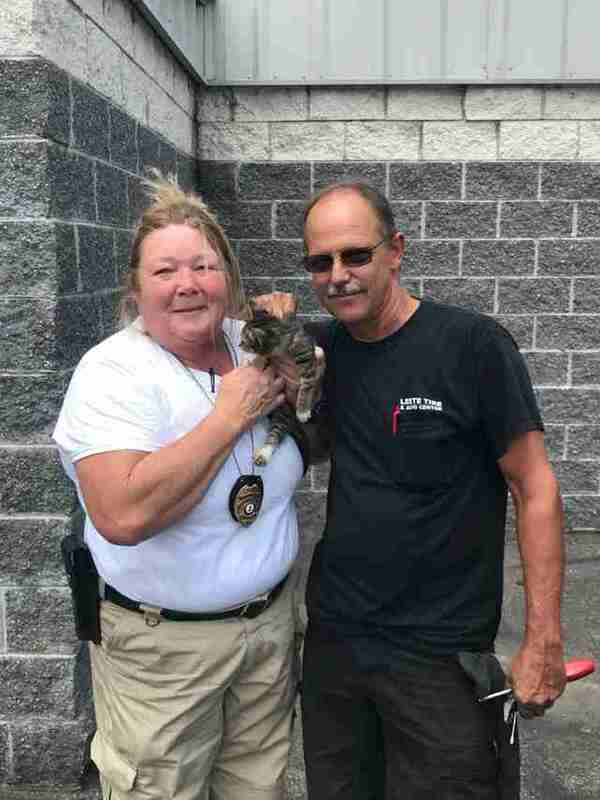 Brown called Petersburg Animal Care & Control right away, and Chief Debbie Broughton got in touch with a local mechanic shop, Leete Tire & Auto, to help. While it’s unclear how long the kitten had been trapped there, it’s likely she was there all day, given how stressed she had become. She had had a very long morning, but was finally almost safe. After about 10 minutes of work, the kitten was finally freed. Chief Broughton checked her out right away — and aside from being quite thin, she didn’t have any injuries. 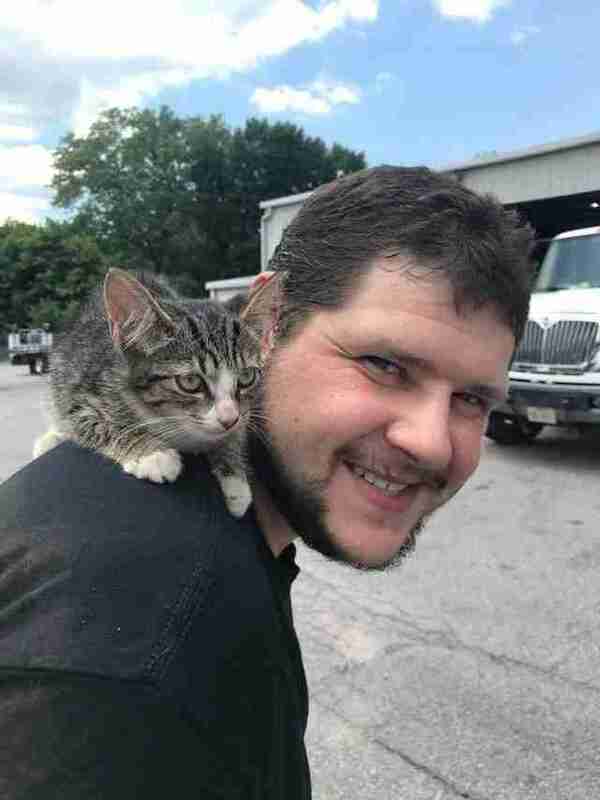 The kitten had no collar or further identification, so an animal control officer was about to drive out to pick her up. She would have likely been brought to the local shelter for a health check and to be put up for adoption. But instead, an employee from the shop who witnessed the rescue stepped in and adopted her right on the spot. Despite the frightening situation she just endured, little Kia warmed right up to her new dad, a service technician named Chuck Williams. She’s been home for about a week now — and is so happy with her new family.